WHAT DOES THE PRACTICE OF NAIL SPECIALTY COVER? The Practice of Nail Specialty means providing services for a fee or any other consideration to cut, shape or enhance the appearance of the nails of the hands or feet. 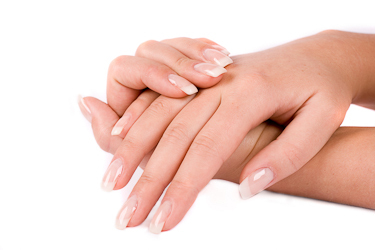 Nail Specialty also includes the application and removal of sculptured or artificial nails. MORNING: 25 hours weekly for 10 weeks. Monday to Friday: 9:00 a.m. – 3:00 p.m., 5 hours daily with 1 hour lunch daily. MIDDAY: 15 weeks, 17 hours of 14 weeks plus 12 hours of 1 week. Monday to Thursday, 3:00 p.m. – 6:00 p.m. & Saturday 9:00 a.m. – 3:00 p.m with 1 hour lunch. EVENING: 15 weeks, 17 hours of 14 weeks, plus 12 hours of 1 week. Monday – Thursday, 6:30 p.m. – 9:30 p.m. & Saturday 9 a.m. – 3 p.m with 1 hour lunch. – Gain knowledge of histology as it applies to manicure and pedicure. – Develop interpersonal skills and professional ethics that may lead tosuccessful employment. – Create an awaremess of careers and business opportunities with the beauty infustry. – Adhere to the sanitary and sterilization regulations as they apply to the nail technician. – Qualify and prepare students for the State Board examination. Are you ready to learn Nail Specialist?